ARTEX, an ACR Electronics, Inc. brand introduced the world’s only 406 MHz approved transport-grade alkaline battery powered ELT, the ELT 4000. This innovative alternative powered Emergency Locator Transmitter will offer customers an ELT that is exempt from FAA non-rechargeable lithium battery special conditions, such as hazardous material (hazmat) shipping regulations. The ARTEX ELT 4000 will provide significant benefits and savings in regards to shipping, installation, and maintenance. The ELT’s five year replaceable battery does not require additional protective housing or containment. ELT 4000 is a one-piece solution featuring built-in NAV interface (ARINC 429), allowing for connection to on-board GPS. As a single output ELT, the ARTEX device uses the same RF output and only one coax cable to transmit both 406 MHz and 121.5 MHz signals. It features further options including a two-wire remote switch that does not require any aircraft power. The ELT 4000 has received Cospas-Sarsat and FAA TSO certification and production units are now shipping. 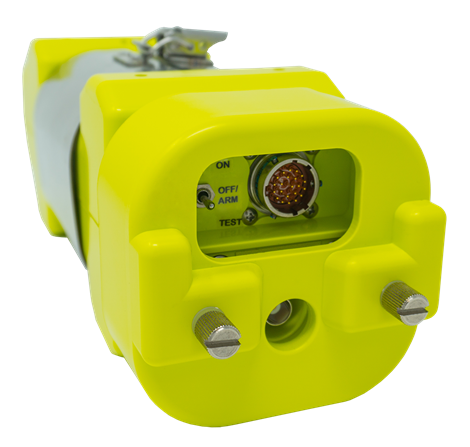 The ELT is also approved and available in a Helicopter Model (HM) with a five axis G-Switch.